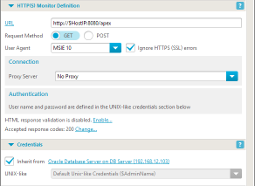 HTTP Monitor is used to check the Web site presence and test whether the contents of the address match certain criteria. HTTP, or Hypertext Transfer Protocol is a most widely used protocol utilized to access Web sites and a number of other services via the derived protocols such as WebDAV. IPHost HTTP Monitor is an advanced type of monitor, but it is simple to create and use. Specify the URL to check; port is generally taken out of URL, yet you could provide it explicitly. 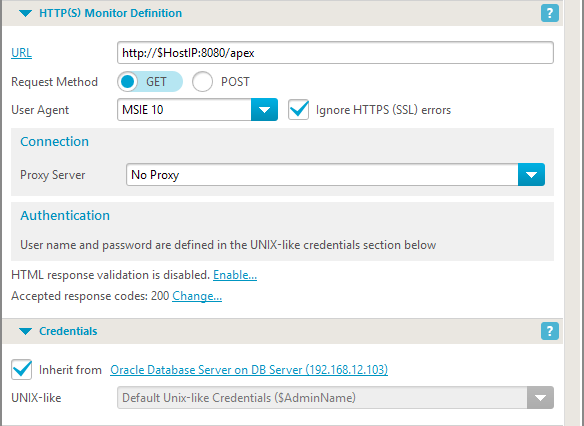 Specify whether GET or POST should be used; if latter, you can provide POST data to send to the remote host. HTTP 2xx responses are considered normal, whereas 4xx will be interpreted as an error. To correct that, if non-2xx response should be accepted, specify the comma-separated list in accepted response codes list. If just the fact the page loads isn’t enough, you can provide string to find (or not to find) in the output and select the proper response validation mode from the drop-down menu. If HTTP authentication is used, provide the relevant user name and password. 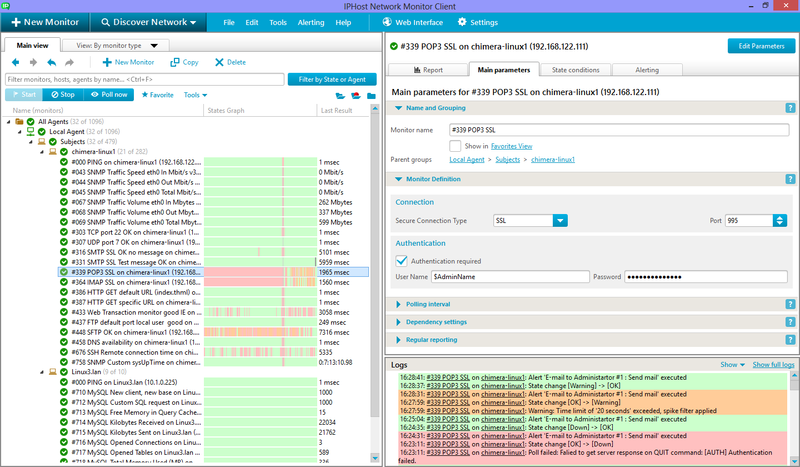 Basic, Digest and NTLM methods are supported. If proxy should be used to communicate with the Web server, specify proxy type and URL. HTTP(S) Monitor can be used for simple checks (requiring only page load) and suites most needs when Web site availability and consistency. General site owners can look for specific site’s welcome string to make sure everything is fine. Buyers can load specific items’ categories to make sure there’s a given type of merchandise present. Fans can monitor the games results in this way and so on. It can be extremely hard to check for certain data presence on a given Web page; advanced scripting could be required not only to access the page (if POST method is used) but to analyze the output, as well. Simple checks for page loading, however, can be easily performed via a common Web browser of wget-like utility. Manual checks may require much time to perform, this is why they can be unreliable. 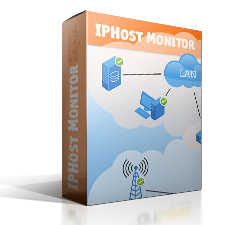 Since testing can detect possible site or underlying services problems, it is recommended that IPHost Network Monitor be used to handle this kind of task. 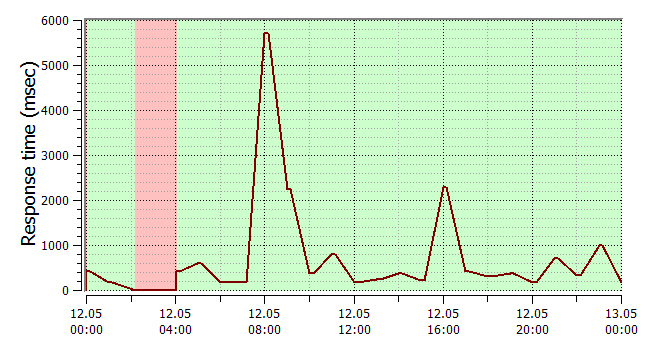 This kind of monitor is relatively resource-consuming; if polled too often, it can overload the target server. If there are simpler checks and/or lighter monitors, such as TCP or PING, they should be used first to prevent more demanding monitors from being inefficiently run. 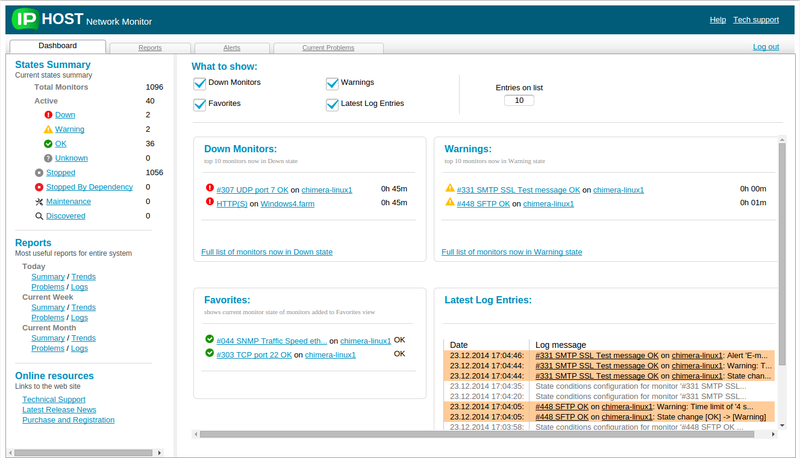 If scenario monitor, such as Web transaction monitor, is too heavy or otherwise irrelevant, you can make use of several approaches to make HTTP monitors more informative. If you can modify the target site, it could be useful to create a custom page, visible (accessible) to IPHost Network Monitor only, containing just several characters of information. The page can be protected by HTTP authentication, to make sure it’s not visible to every one. By placing short, easy to discern information on the page, you can minimize load on the server. Try loading several pages, not only those with static content, but also with dynamic, to make sure the site monitoring will provide more realistic data. Note that you can use this type of monitor to get useful data, not actually related to a site’s performance. For example, you can provide a search engine string as URL, take the results and look for a specific string. That could allow you to know whether a given string is known to search engine. The same trick can be used to look for a particular item in a e-shop, for a specific record in a Web calender and to detect any other event that can be spotted by analyzing Web page contents.